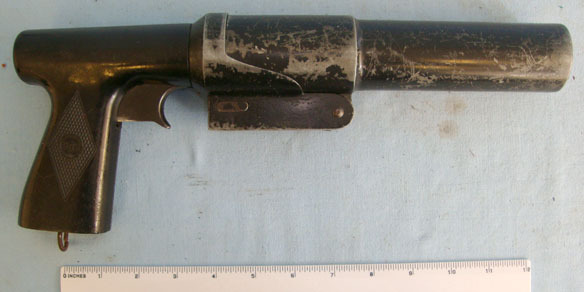 Extemely rare, excellent condition second variation Type 90 triple barrelled flare signal pistol made by Kayaba Kogyo for the Imperial Japanese Navy. 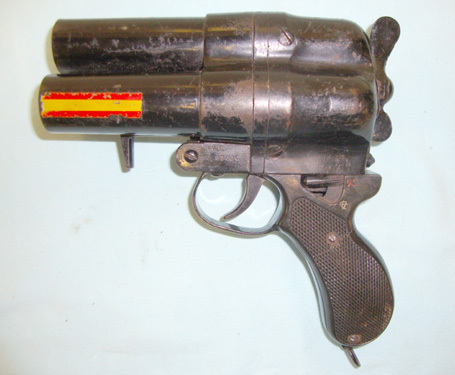 A total of only 5,300 Type 90 triple barrelled flare pistols were ever made and as most of the Japanese Navy was sunk during WWII rather than surrender, the majority of these pistols ended up at the bottom of the ocean. 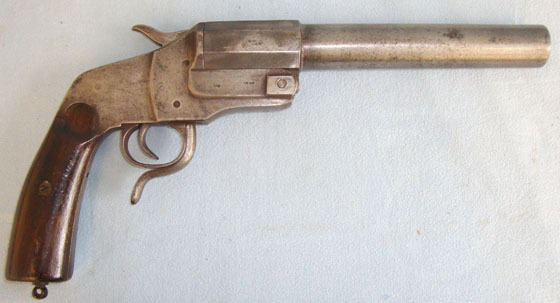 This pistol can be identified as a second variation of which only 3,400 were produced. It is manufacturer marked by Kayaba Kogyo company with katakana inspection mark and bears a Japanese Imperial Navy acceptance mark. (illustrated) on the right hand side of the frame and is stamped PAT. 93006 on the feft hand side of the frame. It has it's original chequered plastic grips and the metal work retains its original black lacquer painted finish including the different coloured flare markings to designate the barrels. Deactivated to new specification in 2008 this example breaks open as it should and it has a moving trigger. Also the selector switches rotate and safety catch locks the trigger. 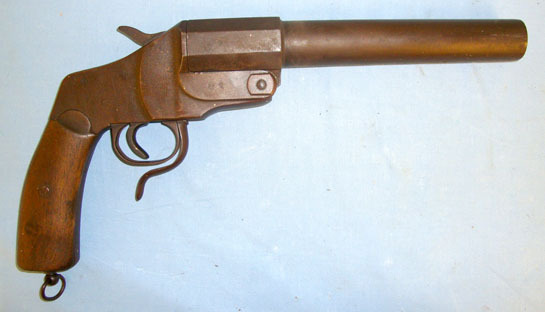 This is an extremely rare, hard to find gun. Price includes deactivation certificate and UK delivery. Sn 6180.